Glad To See You Again: Joey Ramone's Unearthed Demos The singer left behind a number of song fragments, now collected and cleaned up on a new album. The Ramones were there at the birth of punk rock. None of the Ramones were actually related, but they all changed their last names to Ramone. They wore matching skinny jeans and leather jackets, and their songs were short and to the point, with hooks that are still impossibly catchy. The band's first album stunned listeners and critics. Joey Ramone described its influence in a 1991 interview in Finland that's posted on YouTube. "We really had something totally unique, and there was something completely different about us that was not like anything else before us," Ramone said. "You know, we revolutionized rock 'n' roll and changed the world musically, and changed people's attitudes. And everybody starting playing like us." 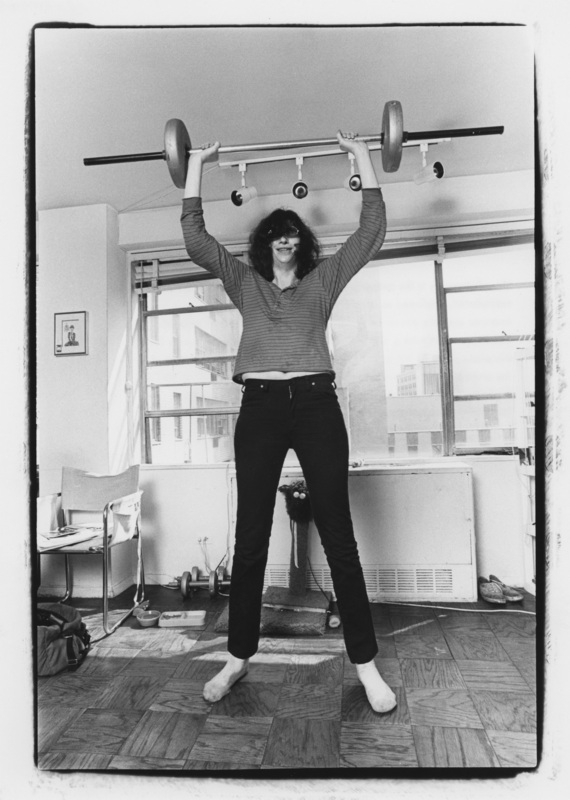 Joey Ramone, best known as the band's lead singer, also wrote some of the Ramones' most famous songs, including "Sheena Is a Punk Rocker" and "Beat on the Brat." He released one solo album after the band broke up in 1996. When Ramone died of lymphoma in 2001 at age 49, he left behind a number of demo recordings and song fragments, often recorded at home on cheap cassette machines. Joey's brother, Mickey Leigh, recorded two of them. "The ones I had were recorded on a $38 microphone that I had gotten from [influential rock critic] Lester Bangs," Leigh says. "And I never thought these were going to be used for this purpose." Leigh is the executive producer of his brother's new album, which he named ...Ya Know? after one of Joey Ramone's favorite expressions. He says the idea for the album started with the two demos he recorded in Ramone's East Village apartment in 2001. Leigh also negotiated for the rights to other unreleased recordings, some of them dating to the 1980s. Then, he and producer Ed Stasium went through a time-consuming process of stripping those demo recordings down and building them back up around Joey Ramone's vocals. "We just basically had vocals," Stasium says. "Sometimes, there was just drums on one track, a guitar on one track. It was very minimal." "All we wanted was the bare bones," Leigh says. "And that's all we kept from the originals, were Joey's vocals," Stasium adds. "Some of them are very scratchy, a little distorted," Leigh says. "It was a lot of work. You'd never know if I didn't tell you, so you didn't hear it." Stasium worked and played on more than 10 albums with The Ramones. He and Leigh say they tried hard to be faithful to what Joey Ramone would have wanted. "Joey was a perfectionist with his performance," Stasium says. "With his lyrical content ... he wanted to make sure all the diction was there." "He cared. A lot," Leigh says. 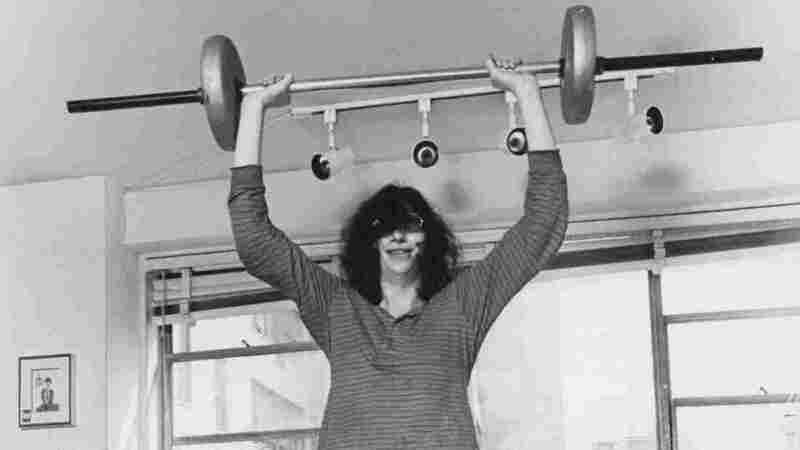 Joey Ramone was born Jeffry Ross Hyman in Forest Hills, Queens. He and Mickey Leigh — born Mitchel Lee Hyman — grew up together. They shared a single record collection and started playing in bands as teenagers. "He wanted to a be producer," Leigh says. "And he took us into the studio, this band I had called Purple Majesty, and produced a record for us. He was 15 years old. I don't know if that's when I knew he was going to be Joey Ramone. But I knew he had this intense love of music, and making music, and making things happen." Now, it's Leigh's turn to be the producer. He says he felt some pressure to bring in high-profile guest artists to play on his brother's posthumous record. "You know, get the biggest names we could get, because that was going to bring attention to it. And I was totally opposed to that from the get-go," Leigh says. "That's not what I want. I really wanted to keep it pure, organic, and to his friends. I wanted to keep the focus on Joey, not on Bono or whoever." In the end, Leigh only invited Joey Ramone's friends and collaborators to play on the record, including Steven Van Zandt, Richie Ramone and Joan Jett. That's probably how Joey Ramone would have wanted it. In interviews, he talked a lot about how proud he was that the Ramones never strayed from their original vision just for the sake of having a hit. "You know, we were always there for our fans, and there for ourselves," Ramone once said in an interview. "We never sold ourselves out or — we never wanted to play dance music or crap like that. We always stayed true to what the Ramones are." The same could be said about Joey Ramone's brief solo career, too. In an early audio version of this story, we incorrectly reported that Joey Ramone died at the age of 47. Ramone died at the age of 49.